President Donald Trump slammed Hollywood actor Robert De Niro, who unleashed on Trump in a profanity-laced rant at the Tony Awards Sunday night, and criticized him in a series of tweets, calling him "a very Low IQ individual" and suggesting that De Niro "may be 'punch-drunk.'" 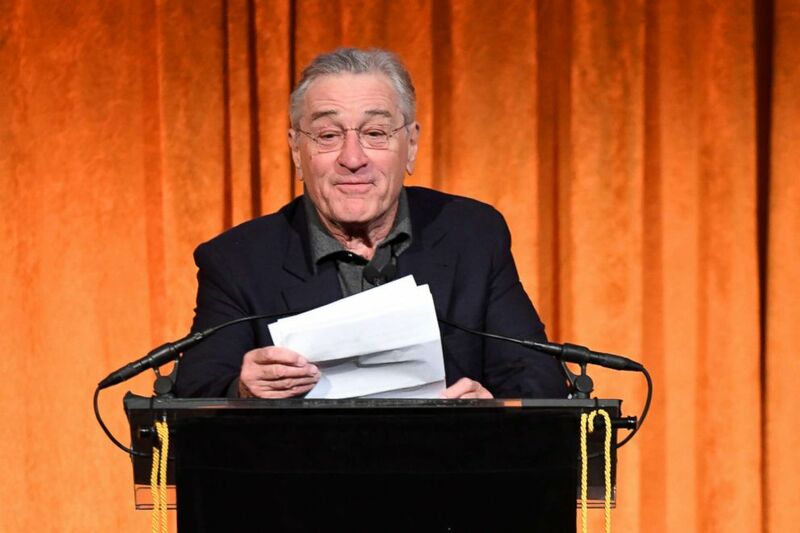 While introducing Bruce Springsteen at the awards ceremony Sunday night, De Niro was bleeped when he said: "First, I wanna say, 'F--k Trump. It's no longer 'Down with Trump,' it's 'F--k Trump.'" This was not the first time the Oscar-winning actor attacked Trump so publicly -- and so colorfully. Robert De Niro speaks onstage during the National Board of Review annual awards gala at Cipriani 42nd St, Jan. 9, 2018, in New York City. "Our baby-in-chief -- the j---off-in-chief, I call him -- has put the press under siege, ridiculing it and trying to discredit it through outrageous attacks and lies," De Niro said, comparing the Trump administration's attacks on the media to former President Richard Nixon's. And in 2016, De Niro, who endorsed Democratic presidential nominee Hillary Clinton at the time, attacked Trump in a video, urging people to vote and saying, "I'd like to punch him in the face."